Ink Stain Design has been providing clean and functional web design for a wide variety of clients since 2002. Ink Stain is also proud to be a small company. Clients appreciate knowing that when they call with a question, they can talk to the person who's actually doing the work. Being a small company also allows us the luxury to pick and choose the projects that we want to work on, so we're never too busy to give our full attention to any commitment we take on. If you'd like to discuss whether Ink Stain is a good fit for your project, please emaiil us or visit our website below. 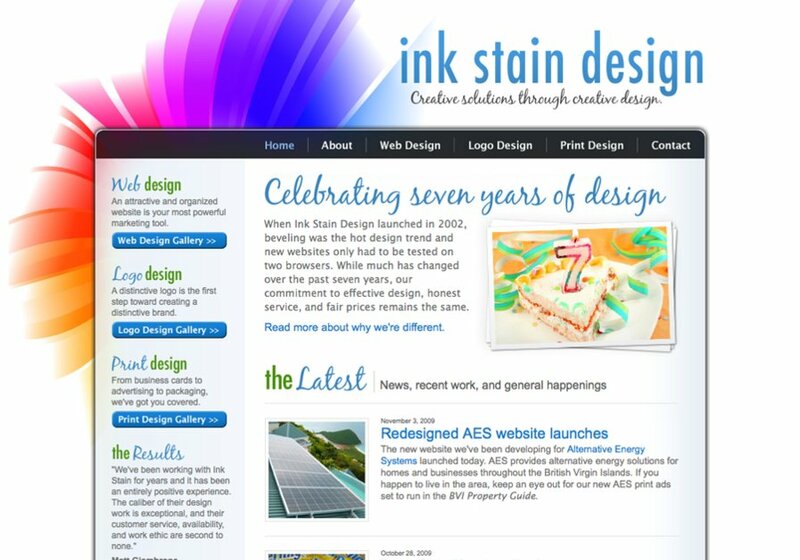 What better place to show off the Ink Stain design style than with the company's own website, www.inkstaindesign.com?